Limousines have come a long way since they first showed up over three hundred years ago. The first limousines were completely different back in the 1700’s. A limousine is a type of vehicle used to chauffeur people around, where the driver is separated from the passengers. 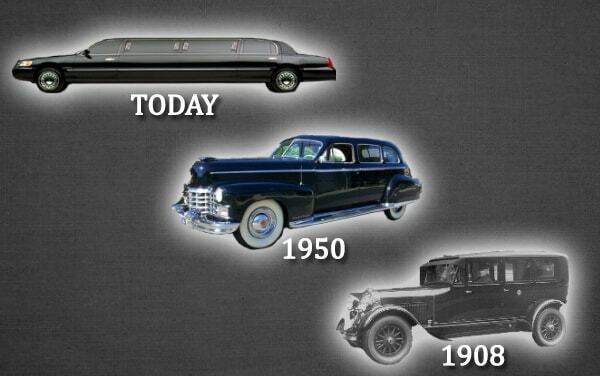 Over the years, the limousine has gone through some major changes. Limousines first started as horse drawn carriages that were used by the wealthy to get around. They were often covered in gold and pulled by the best looking horses around. The driver of the limousine would sit in front of the carriage in a separate compartment away from the wealthy, allowing them to have their privacy while traveling from one place to another. The chauffeur would often wear a Limousin-style cloak to protect themselves from the weather. Back in the 1700’s, these types of vehicles were not called limousines, but the cloaks that were worn by the driver inspired the name limousines and the way that the vehicles are made today. The first powered limousines were first introduced in 1902. The driver sat outside under a covered compartment. The passengers were fully protected from the weather in an enclosed compartment in back of the driver. The vehicles of this time were quite small and often only had room for three to five passengers. These vehicles were either manufactured with one front facing seat or with a front facing seat and a rear facing seat so that the passengers can interact with each other during transportation. In 1916, the Society of Automobile Engineers defined three main types, the limousine, the berline, and the brougham. Limousine: a car where three to five passengers can fit inside, while the driver remained outside. In 1928, the first stretch limousine was manufactured in Fort Smith, Arkansas. Armbruster created the cars, and they were mainly used for transporting bands and their equipment across the country. They were often called big band buses. In the 1930’s, limousines started become popular for transporting guests between hotels and airports. They were no longer only used by just wealthy people. The stretch limousines were also used by tour guides to take groups on tours. The movie industry also got into using limos to carry film crew and stage members during sets. Since the 1960’s, limousines have included additional features to protect and the passengers during their time on the road. Presidents started using them, so they started making bulletproof glass and armored plating to protect the president from harm. In 1974, the first six door funeral limousines were built, and they are still very popular today. In addition to different types of limousines being manufactured, most of them also include additional features for entertainment. Today, limousines are used by people across the world for many events including weddings, proms, parties, and business travel. Limousines are popular with parties and other events because they allow the passengers to legally drink while in a vehicle. There are laws, especially in the United States, were drinking in a vehicle is illegal unless the passengers are separated from the driver. The stretch limousine, especially the white ones, are seen as the ultimate luxury vehicle.